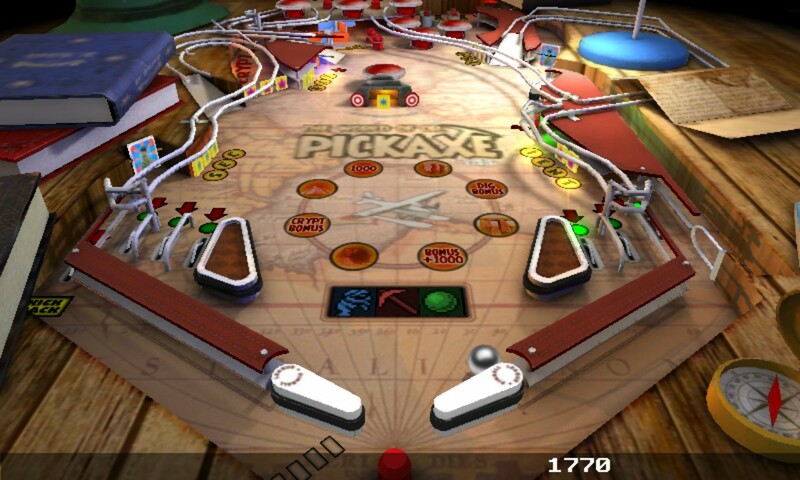 I've been a huge pinball fan in real life, which hopefully helps me appreciated the sterling job the developers have done with simulating a pinball table in Dr Pickaxe. 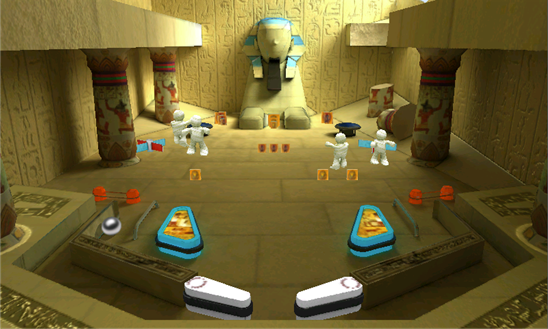 The physics are downright perfect, the gameplay always interesting, plus mini-game/mini-tables extend the gameplay even further. Add in a generous 'trial' version and you've got a title that every Windows Phone gamer should have installed and (hopefully) bought. There's a tenuous back story involving a hardy adventurer and exploring new lands - a good enough set up for a pinball game, I guess...! Thereafter, it's tap on the left and right of the screen for flipper control. The response of the flippers and general speed of the game is tremendous, it really does feel as if you're fighting with mechanical flippers and servos throughout. And the setting for the slant of the table is just perfect - something many other pinball games on computers get hopelessly wrong. 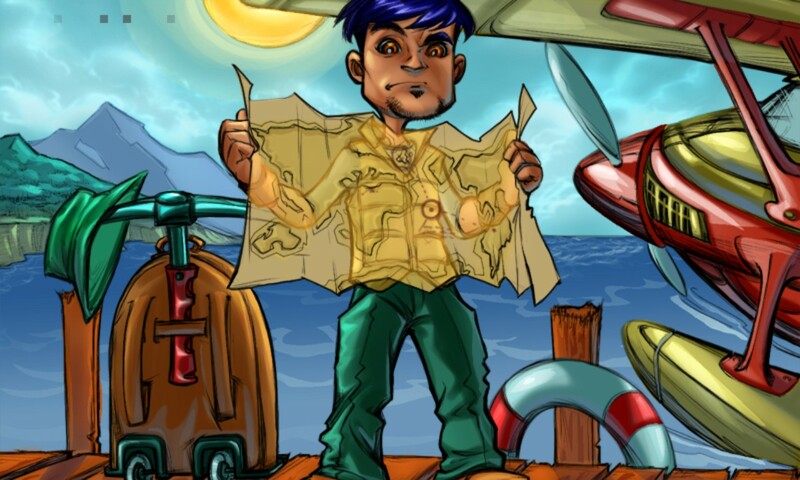 There are the usual bonuses, power ups and modes to explore and activate. Note two things especially: firstly, the extra flipper top-right, giving you the possibility of firing the ball back up into the top section for extra points. 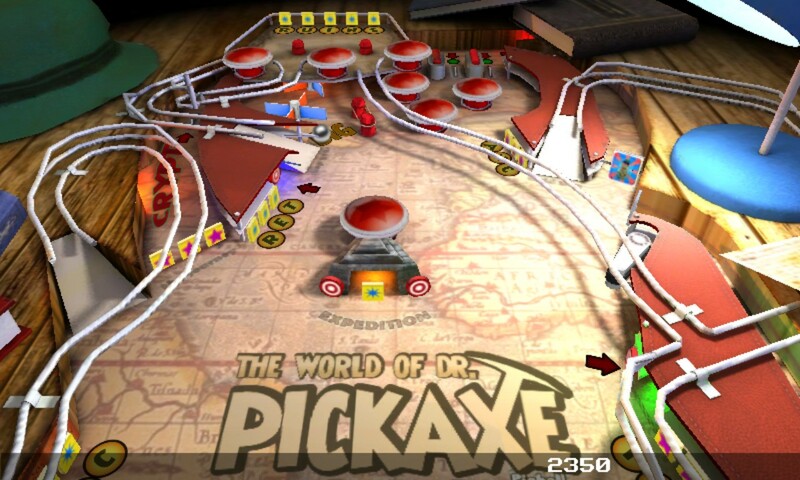 All great fun and Dr Pickaxe is the most fun I've had in a phone pinball game for a long, long time. My favourite 'expert' move on a real table is when a ball is about to go down the centre at a very slight angle and I manage to deflect it very slightly with one flipper, then catch it on the end of the other, before relaxing the first and using it to get further purchase and fire the ball off up the table again. This 1-2-3 juggling move is hard to pull off on a real table - and it's perfectly possible here too, for immense player satisfaction and another vote of confidence in the physics engine here. What this means is that, as the ball careers around and the (virtual) servos fire, you feel the table 'alive' under your fingers and thumbs. 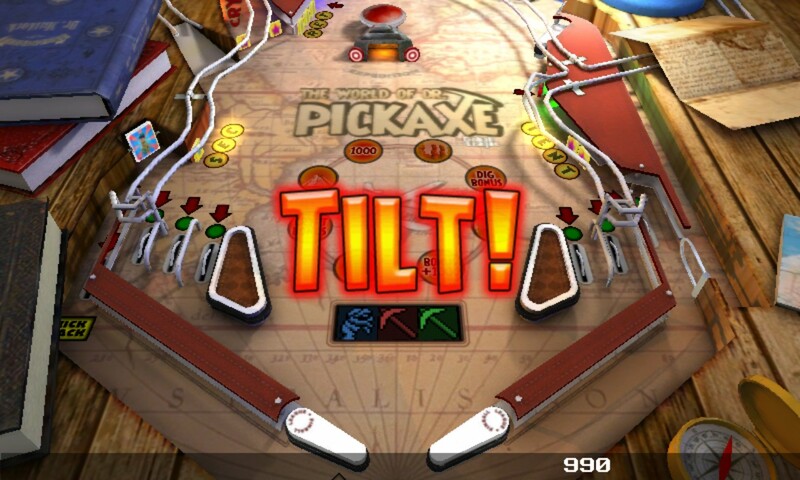 'Tilt', in case you're not a pinball-head, refers to when you try to gently nudge the table to the side when the ball's teetering on the edge of a ridge and about to head down to oblivion, or when the ball's headed squarely down the centre. On a real world table, this would make enough difference to catch the ball on a flipper edge (etc.) and save the day. 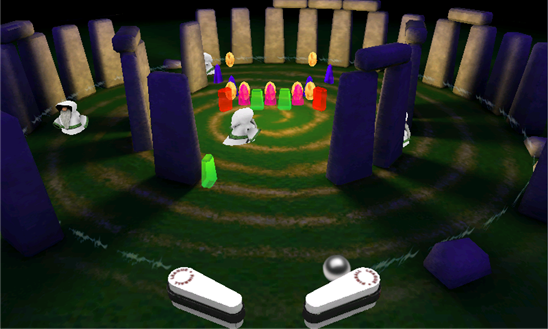 Nudge the table (phone) too hard, though, and you get a 'Tilt', a penalty that deactivates all the servos and your flippers and causes the ball to be immediately lost. 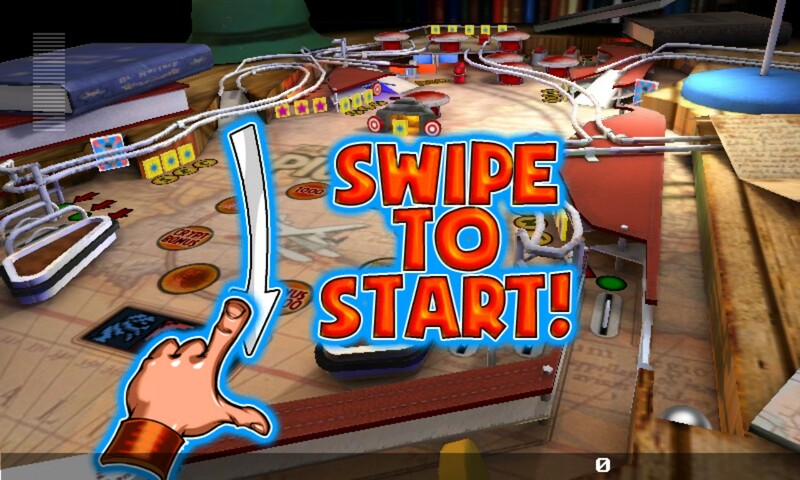 A flawless title and one which will be among the first I install on any future Windows Phone. Kudos to all concerned with its development.